The #MeToo and #TimesUp movements gained momentum and monopolized social media in the last two years as more and more women came forward to publicly name those who sexually assaulted them. Others are exclaiming “#TimesUp!” for those who are guilty of repeatedly victimizing others for their own pleasure, control, and ulterior motives in the workplace. #TimesUp is the name of the movement that says sexual abuse, assault, and misconduct will no longer be tolerated in the workplace. While often used interchangeably, there are differences between the two movements. #MeToo founder Tarana Burke and Christy Haubegger, a Creative Artists Agency executive who helped start #TimesUp, discussed the similarities and differences between the two movements in a recent Time magazine interview. Burke said, “The #MeToo movement had already been around for years before it started gaining national attention after allegations of sexual assault and harassment by Hollywood producer Harvey Weinstein began dominating the headlines.” The Weinstein allegations started a crusade in the Hollywood entertainment industry to speak out against sexual predators. Burke said that the goal of #MeToo was to give people a voice and effect cultural transformation by encouraging millions of victims of sexual violence to speak out. “Empowerment through empathy” is one of #MeToo’s mottos. #TimesUp, while similar to the #MeToo movement in that they share the goal of giving people a voice and encouraging empowerment, #TimesUp has some different goals in that its aim is to “create concrete change, leading to safety and equity in the workplace.” Reese Witherspoon, Shonda Rimes, Natalie Portman, and over 300 other powerful Hollywood women started the movement. 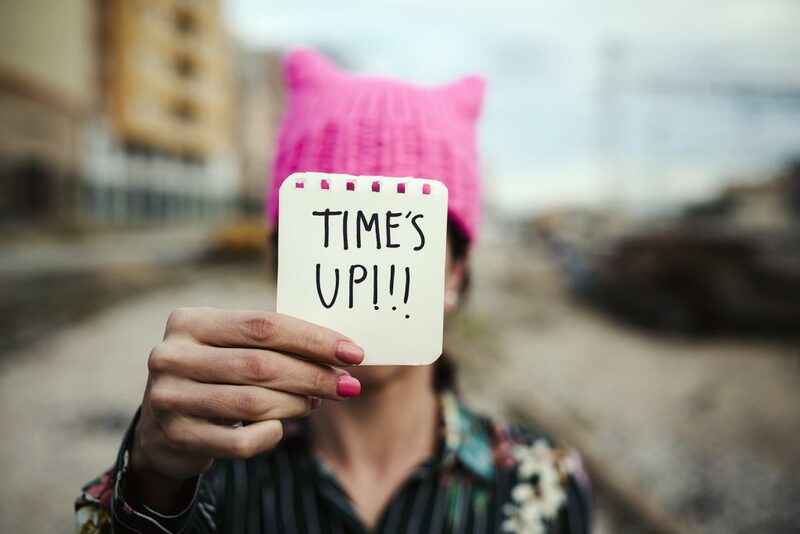 The group created the Time’s Up Legal Defense Fund, a source of legal and financial support for women and men who want to fight sexual misconduct through the justice system. The fund, in a very short period of time of only two months, collected a whopping $21 million, and it’s the most successful campaign in GoFundMe’s history. If you’re the victim of sexual harassment in the workplace, let your boss know that #TimesUp by contacting an employment discrimination attorney in your area today to schedule a consultation. Bring any proof of what you’ve endured to your meeting so your attorney can examine any evidence you’ve collected along the way.